The Oregon Ki Society was founded by Calvin Tabata. 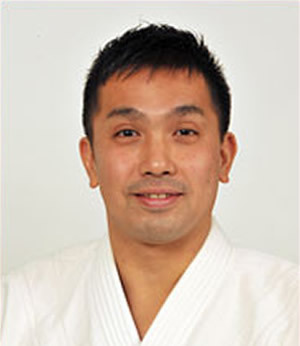 He began his training in Hawaii and is a life-long direct student of Ki Society founder Koichi Tohei sensei. 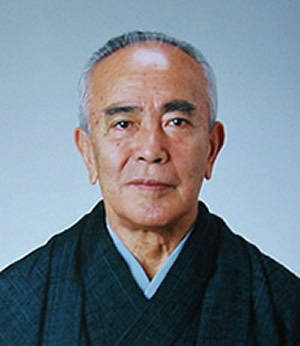 Tabata sensei has been teaching in the Northwest since 1970. He established the Oregon Ki Society in 1974 and the Personal Kiatsu School in 1993. The organization has dedicated training facilites in the major cities in Oregon. In addition, satellite programs in community centers, grade schools and universities provide training throughout the state. To find out more about the Oregon Ki Society you can visit their web site by clicking here. The Eugene Dojo's history started in 1978, when John Gilmore returned from training with Tohei Sensei in Japan. He moved to Eugene to attend graduate school and to start the dojo. Gilmore Sensei started the Corvallis Dojo at about the same time. He taught 4 days a week, returning to Portland every weekend to train. With his dedication as inspiration, and with the excellent guidance and training of Tabata Sensei, the dojo developed from a few students initially to a healthy dojo with both adult and children's classes. Gilmore Sensei moved to Orange County in 1984, and Terry Copperman assumed a leadership role in the dojo. As a family physician, Copperman Sensei was and is excited about the impact of training on the physical and emotional health of his children, his patients and his community. With the assistance of Al Lushenko the dojo expanded the children's program. Diana Robson got her black belt and started teaching adult classes. Howard Galvin and subsequently Teri Simpson trained to black belt status and assisted Copperman Sensei in the children's program. In 1993 the Eugene Dojo started Kiatsu classes as a part of the statewide Personal Kiatsu School. Copperman Sensei traveled to Japan to initiate his study of Kiatsu with Tohei Sensei, and then under the tutelage of Tabata Sensei became an instructor and then administrator of the Personal Kiatsu School. Galvin Sensei and later Simpson Sensei assumed major teaching roles in the children's program at that time. The dojo did well, teaching many children and adults. In 1995, after several moves in the interim, the dojo membership raised the funds to build a permanent school at our current location. With the inspired teachings of Master Koichi Tohei and Calvin Tabata Sensei to guide us, and the dedication of our excellent instructors, we look forward to many more decades of teaching and training in Eugene.